It is very liberating for the soul to feel the sense of renewal that comes with new beginnings after a period of hardship. It raises up its voice and sings like a bird, no longer only imitating but adding its own flourishes for no other reason that to externalise its joy. There is but one place to stand in life that is safe and comfortable, and which gives everything a sense of both meaning and beauty; it is the place of truth. Knowing this instinctively, we propel ourselves, and are drawn, into experiences that enable us to strengthen the authentic core of our being. We become a constant stimulation to others in the normal course of human affairs, and this has a quickening effect. By revitalising others, we become more enlivened ourselves, and this forces an enquiry into who we are and what we represent. 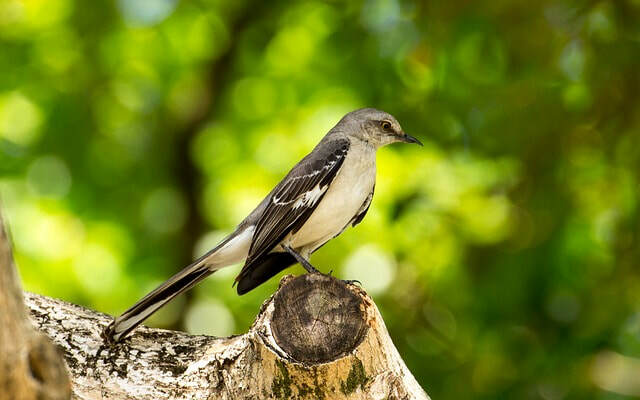 The mockingbird has learned an important technique that could benefit us – how to imitate. This skill rapidly enhances participation within a community; by copying we gain both knowledge and acceptance. At first we need to tune into the group in order to find a place to be, and then our idiosyncrasies will stimulate a response – without any need for controversy. It may well be enough to offer only beauty, and let truth simply be. In other words we are certain to reveal ourselves whether we choose to or not – and such revelation will promote our stature all the more if done with a sense of grace and courtesy. Our purpose is self-refinement. We intend to be more and more who we are and we want that to have a refined quality. This is self-evident. Our aspirations guide us on the path that will disclose to us the best version of who we truly are, as long as we allow ourselves to engage fully with those we meet en route. It is inevitable that some people will find this degree of self-assertiveness annoying – and such people are the best teachers for us to learn refinement. If we think of self-refinement as oil – then it greases our path. Whatever we aspire to realize in life is only ever an horizon. For some, that means it is inaccessibly far; for we others, our current vision is only ever seen as a temporary goal.